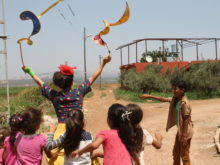 In October 2016, Clowns Without Borders Germany went to Turkey to give 2 workshops for 18 children, and performed a show for 120 spectators in Mardin. In November 2016, Clowns Without Borders Germany went to Turkey to give 3 workshops in Hatay and Nizip for 85 people in total. In May 2016, Clowns Without Borders Germany went to Turkey to perform shows and walkacts in several schools and places for Syrian refugees and Turkish children in Istanbul and Bursa. 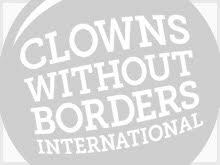 In Februrary 2016, Clowns Without Borders Germany did a workshop with psychosocial-workers and all kinds of NGO-facilitators from Syria, Turkey, Iran and Germany. In December 2015, Clowns Without Borders Germany went to Turkey with the support of the Goethe Institute in Istanbul, where they offered a workshop to 200 refugees.